So, on Thursday, the 18th I was in a meeting at work and my phone started to blow up. It was my daughter, Carmen. 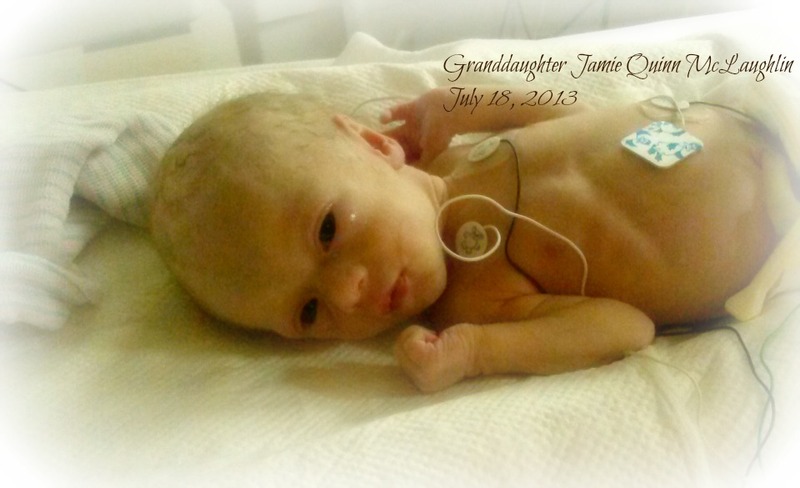 Her doctor, concerned about Carmen's non-growing belly, sent her for more ultrasounds. What they discovered was that Jamie, who should have been the size of a 38 week fetus, was actually only the size of a 33 week old fetus. Then they checked the amniotic fluids and discovered that they were low. The doctor told Carmen and Jeremy that they were going to induce labor right away and to go to the hospital. Needless to say, we were all feeling pretty stressed out. 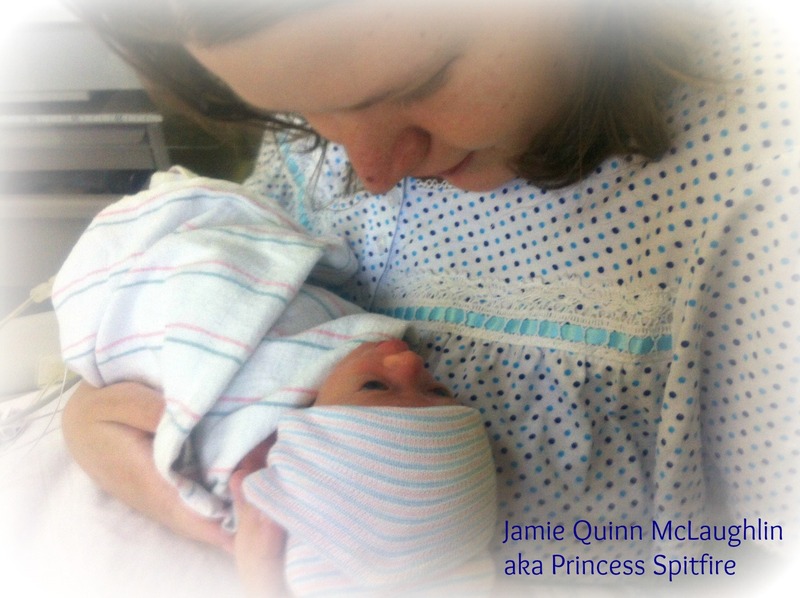 Once they got Carmen started on pitocin and observed a few contractions, it became obvious that Jamie was in some kind of distress. The doctor told us that Jamie was going to be delivered via C-section. Boy, were we glad they did! It turned out that the umbilical cord was looped two times around Jamie’s little neck. Jamie weighed in at all of 3 pounds, 5 ounces! To help her fill out, they are keeping her in the NICU for now. I’m happy to report that she is doing really, really well! Carmen is recovering nicely and will be going home tomorrow. I know she and Jeremy are sad to leave Jamie in the hospital, but it will only be for a short time. We already know that Jamie is incredibly active as evidenced by her cord twirling abilities! She moves around a lot and is very adept with her darling little hands. She is also incredibly alert and smart (I can tell already!). We have lots of fun adventures ahead! Have you ever seen such a darling little baby?